A truck rack primarily protects the people in the truck and the window in the back of the cab, but it also adds style to the truck. They’re also known by other names such as back racks, cab guards, and headache racks. The design of a truck rack primarily depends on its specific purpose and the type of truck for which it’s intended. Truck racks often serve multiple purposes, which you’ll need to consider before making your purchase. You’ll also need to ensure that the truck rack you select is compatible with your particular truck. Truck racks are typically sold as an aftermarket part. They often consist of a base model, which the buyer can customize with a wide range of add-on features. Racks usually serve a practical function, but truck owners may use them for cosmetic purposes. A truck rack is generally a tubular frame constructed of steel, although it’s sometimes made of aluminum. It’s usually mounted on the outside of the truck against the rear of the cab and is attached to the front portion of the bed that protrudes above the cab window, commonly known as the bed rails. The term “headache rack” derives from the fact that truck drivers would often hit their head on traditional truck racks while working in the truck bed. However, modern designs reduce the likelihood of this occurrence. Truck rack designs are often classified into semi-truck and pickup truck applications. Semi-truck applications are more often used for hanging items such as tire chains, while pickup truck applications are more likely to be called back racks or cab protectors. Pickup applications may also be specifically designed to accommodate features such as tonneau covers or tool boxes. The most obvious benefit of a truck rack is to prevent cargo in the truck bed from going through the cab window, especially during a sudden stop. Items that often break the cab window include power tools, hammers and vice grips. The racks on commercial trucks often include a half loop on the rear, allowing you to hang a ladder from it. 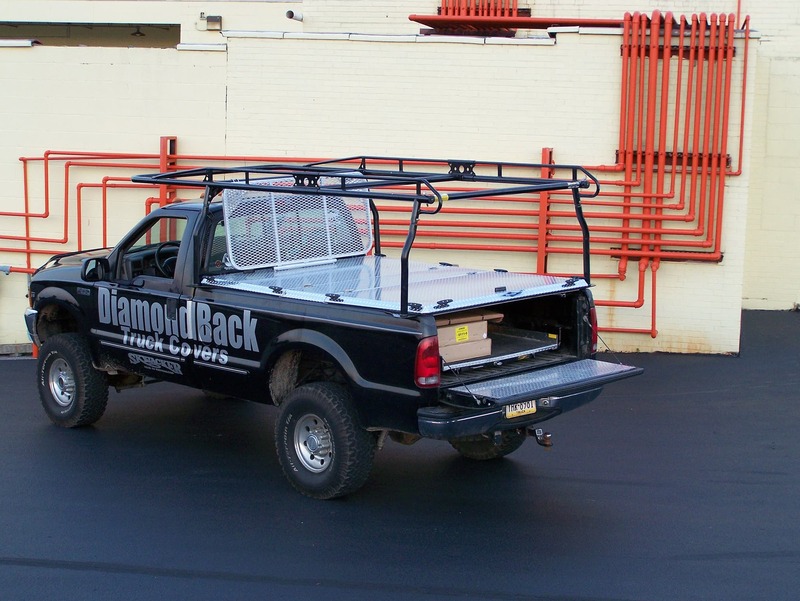 Additional objects that are commonly mounted to a truck rack include cargo and emergency lights. Louvers are also a common feature of truck racks, which shields the cab window from direct sunshine. The factors that determine your best choice of truck rack include your truck model, the purpose of the truck rack and your budget. Truck racks are available in a range of sizes, from light to heavy duty. The items that you plan to mount from the truck rack may include gas tanks, ladders, construction equipment and other supplies, which will determine the optimum rack size. You’ll typically want a smaller rack if you’re getting it primarily for cosmetic purposes. truck racks are usually cut from a single piece of steel with a laser. Many racks have a generic appearance, although they can also be customized with a particular design such as a company logo. The steel is often polished, but it may be painted in your desired color. Truck owners who wish to match the color of the truck rack to the color of their truck rack should bear in mind that this may be difficult with older trucks due to fading from natural effects such as sun and rain. Brake lights are another common accessory for truck racks, but buyers who want this feature should consult the laws in their jurisdiction regarding the limits on exterior lighting for trucks. A truck rack and its accompanying installation kit will typically fit a range of trucks, but you still need to ensure that they’re compatible with the specific make, model and year of your truck. The supplier should be able to provide compatibility information on their racks. Some installation kits don’t require you to drill holes into the bed rails or cab, making it easier to swap the rack to another truck. In cases where the application isn’t an exact fit, it may still be possible to install the rack with a different installation kit. Accessories for truck racks such as antennas and light bars often require their own mounting hardware, which should be coated with zinc to ensure weather resistance.